WTO Chief Reacts Coolly to Trump’s Criticism of Trade Judges - Integration Through Media ....! 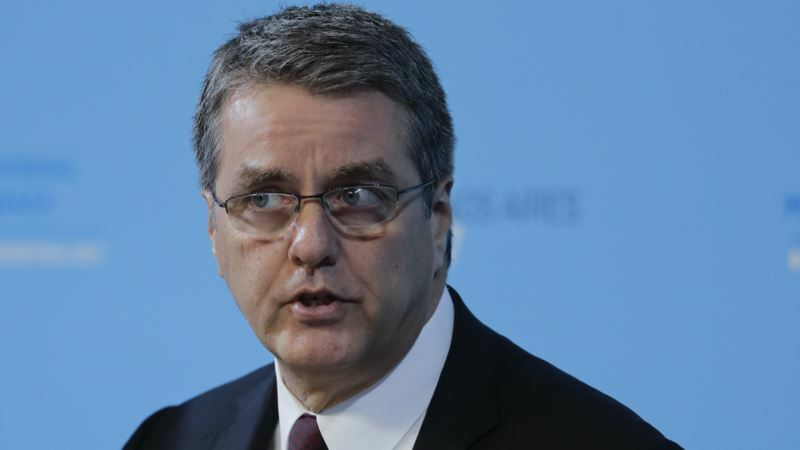 (VOA): The head of the World Trade Organization diplomatically took issue with U.S. President Donald Trump’s description of the WTO as a catastrophe on Tuesday, pointing out that the United States actually had a better deal than other countries in the club. “World Trade Organization — a catastrophe,” Trump said on Monday at a meeting with U.S. governors, according to a White House transcript. “The World Trade Organization makes it almost impossible for us to do good business. We lose the cases, we don’t have the judges. We have a minority of judges. It’s almost as bad as the 9th Circuit,” Trump said. Asked about Trump’s remarks, WTO Director General Roberto Azevedo, a former Brazilian trade negotiator, told reporters in Sofia that it was not news that the United States had concerns about the work of the WTO. “Just one clarification,” he said. “No member has more than one judge at the WTO. The members of the Appellate Body, they are seven, and they come from different regions, so no country has a majority there. The United States, in fact, has always had one of the Appellate Body members with U.S. nationality, which is very unusual, but it is the situation.” Since last year, the United States has been vetoing the appointment of new judges to the WTO’s Appellate Body, in effect the supreme court of world trade. The lack of judges has slowed down the handling of trade disputes and could halt the appeals process altogether after the next judge retires in September. Trump has said he thinks the United States does not get a fair deal, but trade negotiators from other countries say he has not yet set any conditions for resuming judicial appointments, making it impossible to meet U.S. demands. “This is a very serious situation that we are trying to discuss with members, to see how we can overcome this,” Azevedo said. Former WTO chief Pascal Lamy said last week that Trump's view of trade was “medieval,” and the U.S. win/lose rate in WTO disputes was similar to that of other countries. “The question is whether the U.S. problem is trying to fix a number of issues or whether the U.S. strategy is trying to wreck the system,” Lamy said.